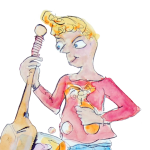 I made a drawing for the George's Marvellous Medicine play at the Maddermarket Theatre. 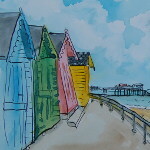 I got a new exhibtion at the Norfolk and Norwich Hospital with 60 landscape paintings. 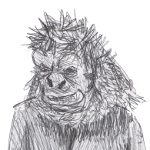 I did some drawings at a Guerrilla Girls & Xabier Arakistain event in Cambridge. 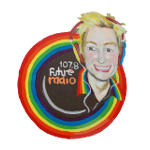 I was on Pride Live to talk about Paint Out Norwich, Dandifest 2017 and an exhibition at the Norfolk and Norwich Hospital. 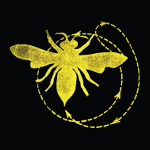 A sculpture I made will be part of the Golden Bee reunion exhibition in Sydney, Australia. 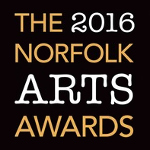 I've been nominated for the Norfolk Arts Awards! You can vote for me until 18th September 2016. 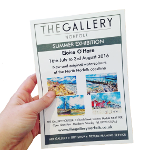 I just found that the EDP has mentioned my exhibition at The Gallery Norfolk as one of eight things you can do this summer. This afternoon was the launch of Paint Out Norwich 2016.